- CK (the one and ONLY, magic-CK... merci for all you do and all you are). And all of you BS08 attendees that I missed (shame shame shame! 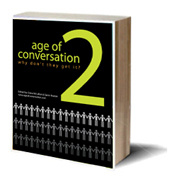 ), but wished I could have had live conversations with. 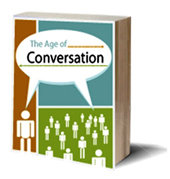 Of course this was just a first contact, a first step, a first ACTION, from "online conversation" to "reality". 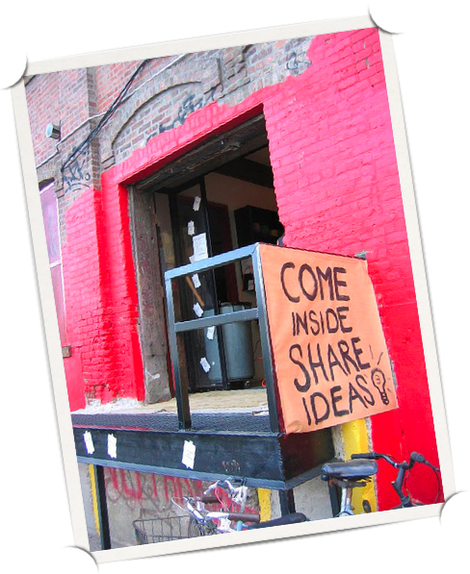 Time was flying as fast as ideas and discussions. "Close Encounters of the Third Kind", version brainwaves to live frequency phases. But this time, voices became faces and eyes could read the smiles between the lines. And THAT was indeed unique and will never to be forgotten. Yes, CK... you, Drew, Lori and all the BS08 team really made the world be a smaller place... through a unique, human and rich experience. THANK YOU ! 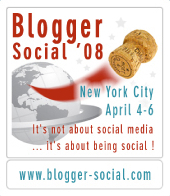 Blogger Social 2008... 90 days left! 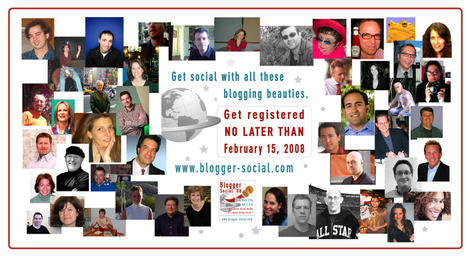 So how do you like this cool looking photo-video edit Mark Goren just made to give you a visual idea of who will be coming -so far- to Blogger Social 2008? Readers of this blog know that next April 4-6, 90 days from now, bloggers from around the world will meet in the first event so far exclusively dedicated to... GETTING SOCIAL. In other words, no seminar, no ppt presentation, no keynote, no protocol. 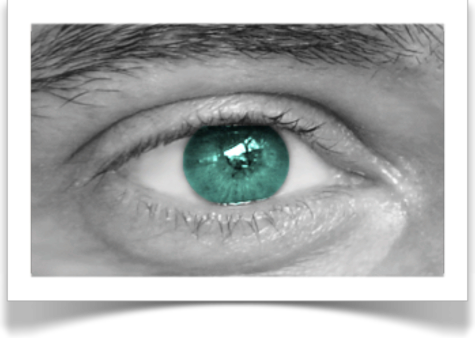 A unique opportunity created, led and embraced by marketing and communication specialists bloggers who after meeting virtually, thought that it was about time to meet live. Australia, Oman, Italy, England, Belgium, Canada, USA... many countries will be represented, making the event a rich and unique human experience. Here is the list of the people who registered so far and a very nice collage of the faces behind them (you may find a pdf version here - thanks to Mark Goren again). So if you have not registered yet, the great news is you still have some time to do so. Yes ! ! ! But beware, the limit is set : NO LATER than February 15. Shortly said : hurry up and just... BE THERE !